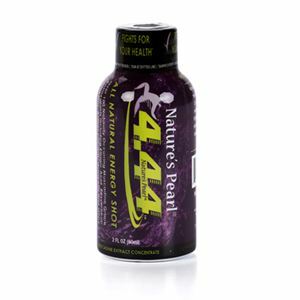 Give your body a natural shot of antioxidant-rich energy with Nature’s Pearl® 4.44™! Naturally support healthy energy levels while combating free radicals with Nature’s Pearl®4.44™Health & Energy Shot! This grape flavored energy shot contains green coffee bean extract and 100 naturally occurring antioxidants derived from muscadine grapes. 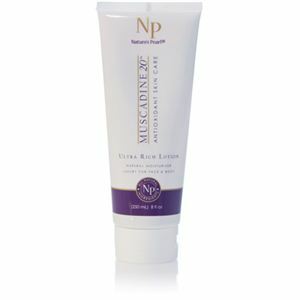 Muscadine grapes are known as the world’s super fruit, rich in resveratrol, ellagic acid and OPC helping to support healthy cells. * Box includes 12 bottles (2 fl. oz. each). Purified water, Nature’s Pearl Muscadine Grape Extract, sugar, grape skin liquid extract, malic acid, green coffee bean extract (with natural caffeine), natural grape flavor, potassium sorbate, xanthan gum and stevia.